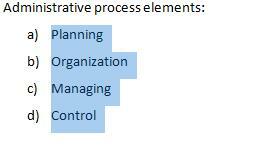 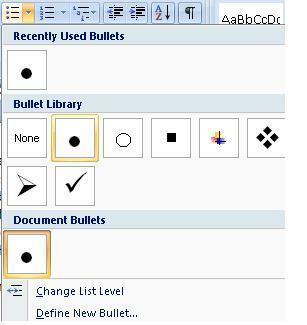 The Bullets function in Word is very useful because it helps us create lists in a quick and easy manner. 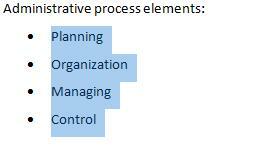 It also helps us identify and point out ideas or comments we need to structure. 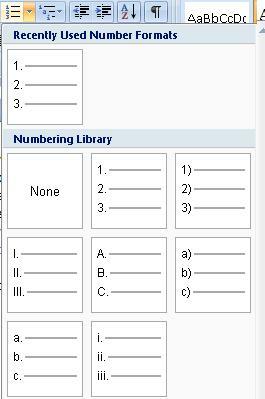 a) Open the options window by clicking on the arrow next to the icon. 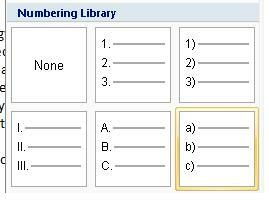 b) For this example, select the "check"
If we want to change the numbering style, open the Numbering options and select the format you like.